With a strong experience (more than 14 years) in the field of financial advisory services, Cerri Francesco successfully led risk management, accounting and regulatory projects in the main Italian financial institutions. Specialist in the risk management and accounting system implementation, under Basel and IFRS regulation, with reference to Counterparty and Credit Risk, Market Risk, ALM & Liquidity and Loan Loss Model. Since 2005, adjunct professor of banking courses at Luiss University (Mario Comana professorship). 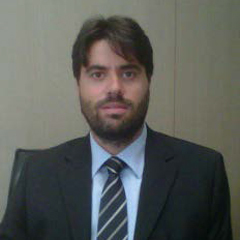 Since 2011, lecturer of “Economia dei Mercati e degli Intermediari Finanziari” course at Luiss University. In 2009, professor and sponsor for KPMG Advisory of the course in “Banking Risk Management” at Luiss Business School. Panel speaker of financial institution convention and since 2011 editor of “Risk & Compliance” column of the specialized magazine “Banche e Banchieri”.